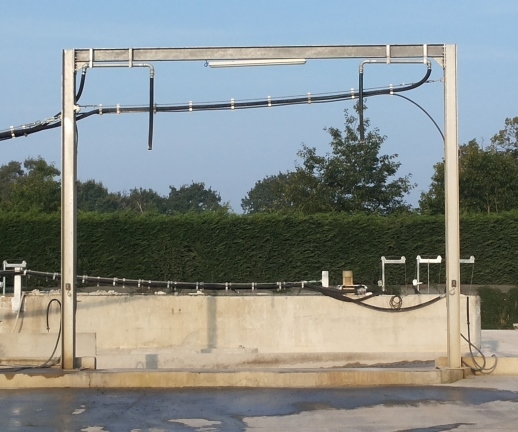 Washing platforms operation – how does it work? 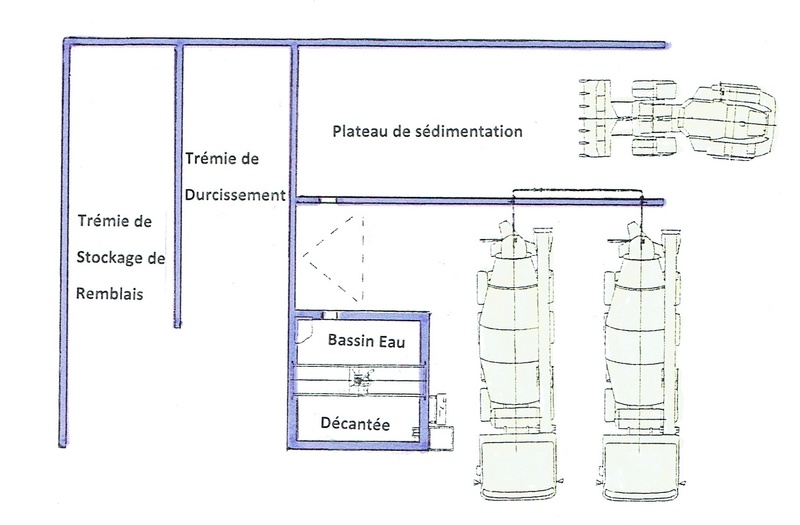 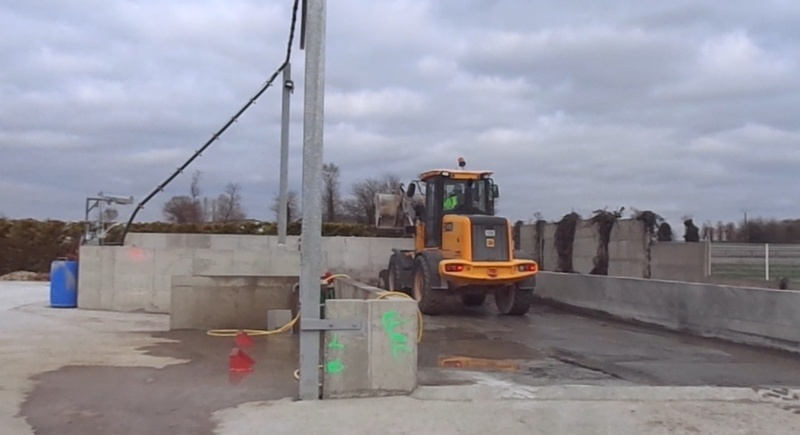 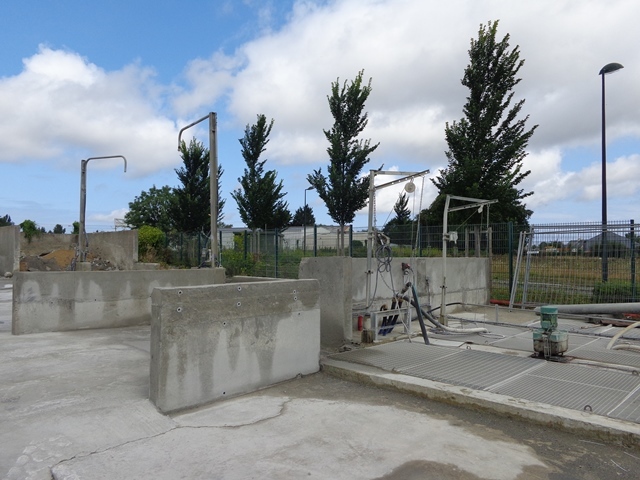 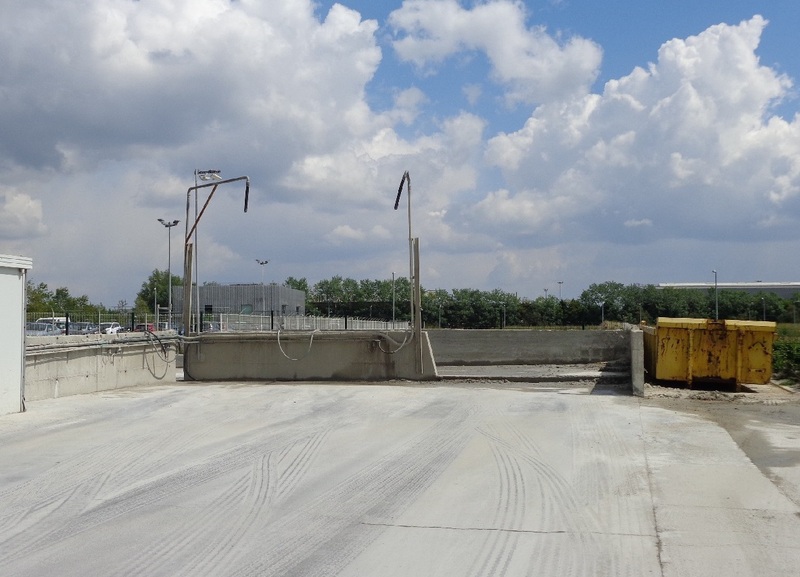 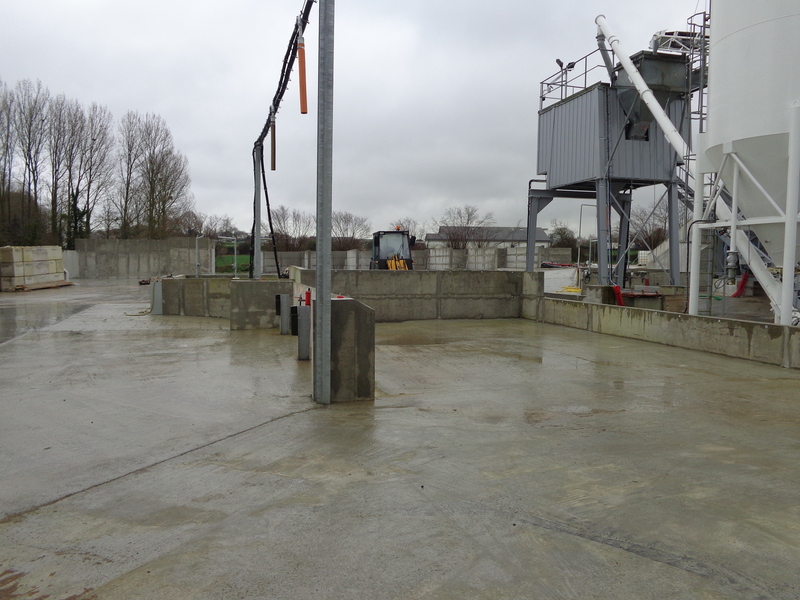 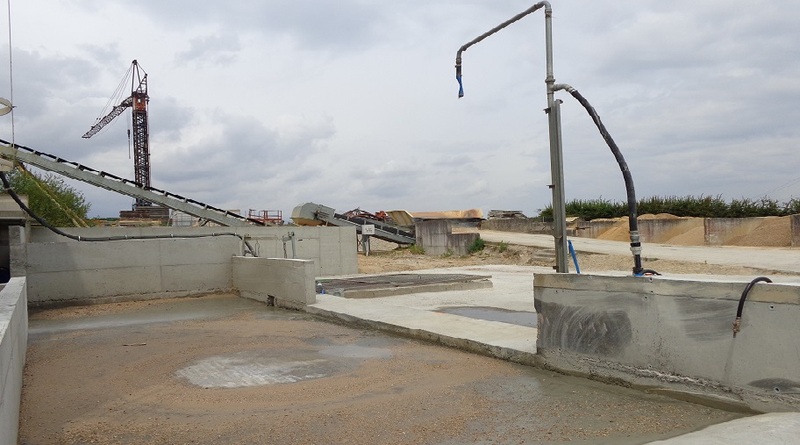 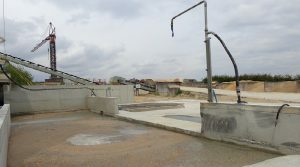 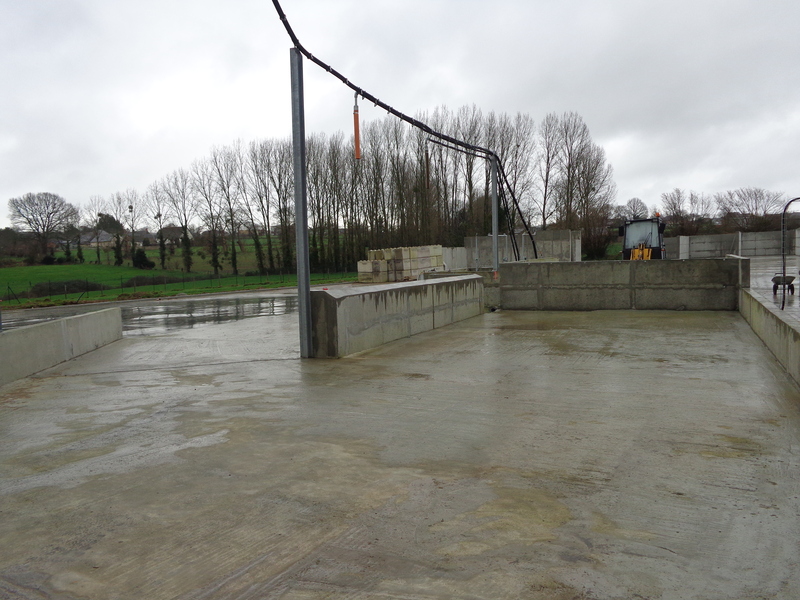 The concrete washing water treatment is based on the heavy elements sedimentation when a flow passes through a narrow surface into a larger one. 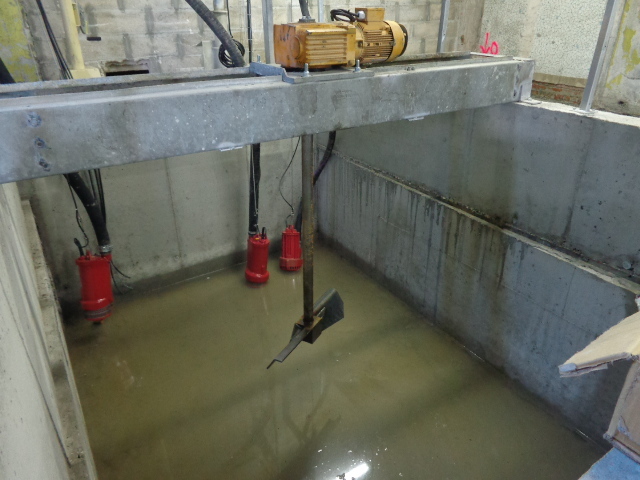 In order to optimize the waters’ clarification, the washing platform should be cleaned at least once a day. 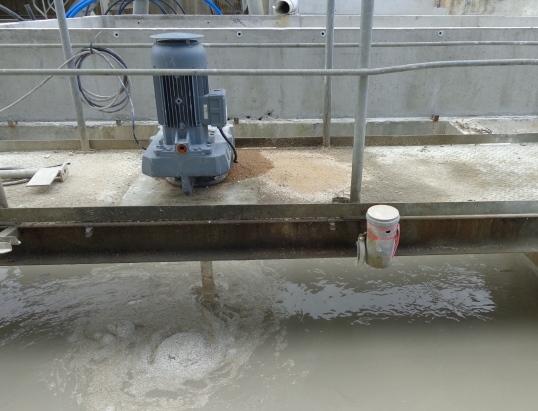 The amount of the suspended solids collected from the water in the agitation tank is directly related to the cleanliness of the clarification tray. 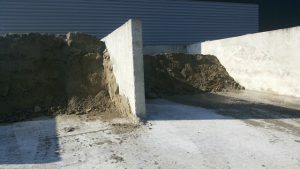 This is why we recommend monitoring this rate on a regular basis. 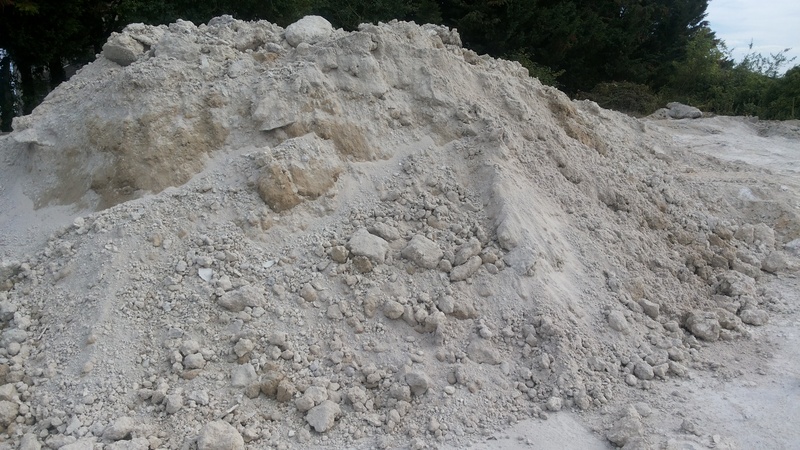 The low rate of suspended solids from the purified water allows its reintroduction in the concrete formulation without any constraint whatsoever. 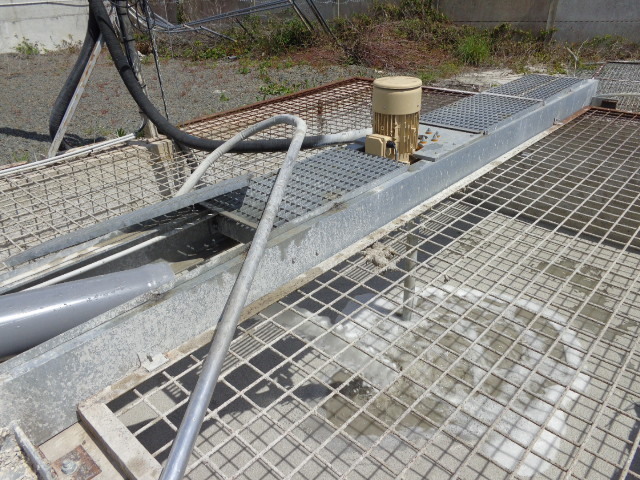 The agitation tray water is clean enough to use it for the spinning tops cleaning the inside of the tops, which avoids using clear water. 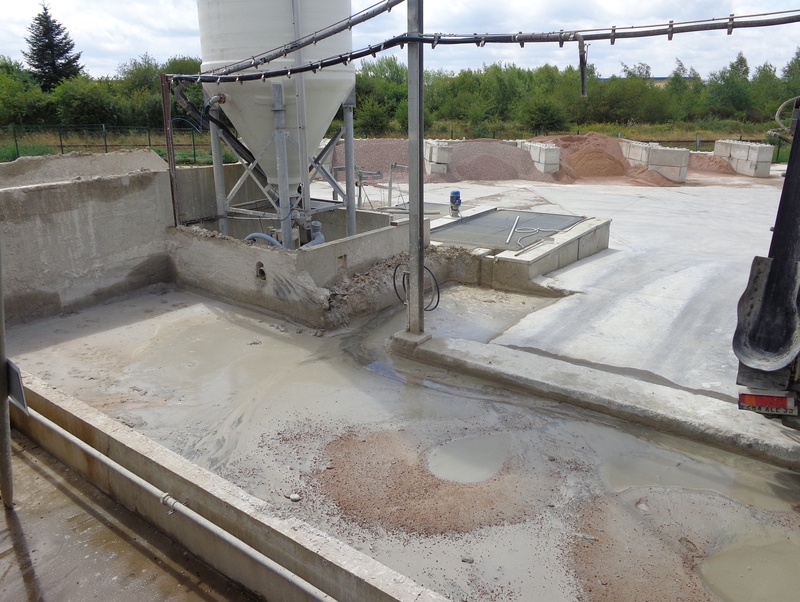 The hardening of the platform harvested mud takes place thanks to the socket of the residual cement from the sediments. 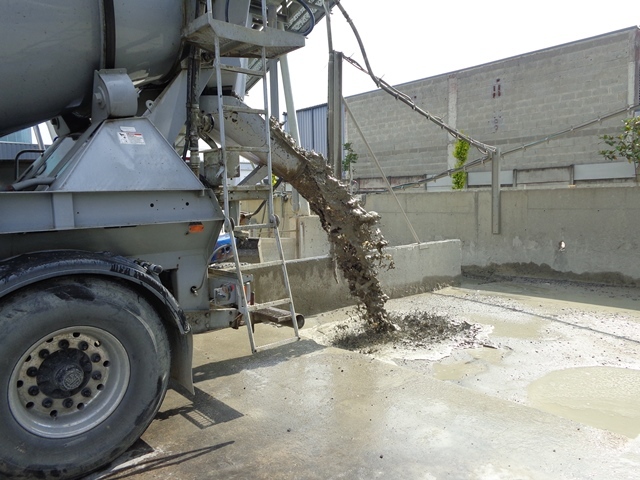 To promote the cement hardening it is necessary to evacuate from the mud as much water as possible and as quickly as possible. 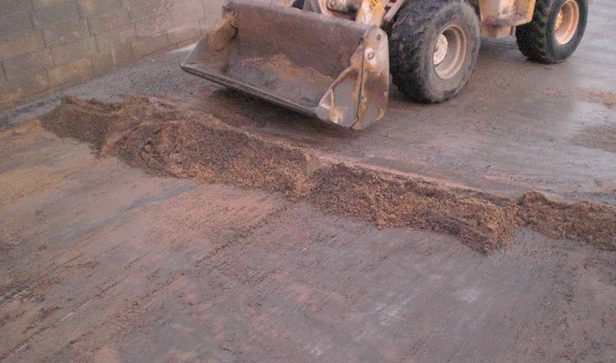 By blending the sediments during the platform scraping helps obtain an airy mud and promotes the migration of residual water. 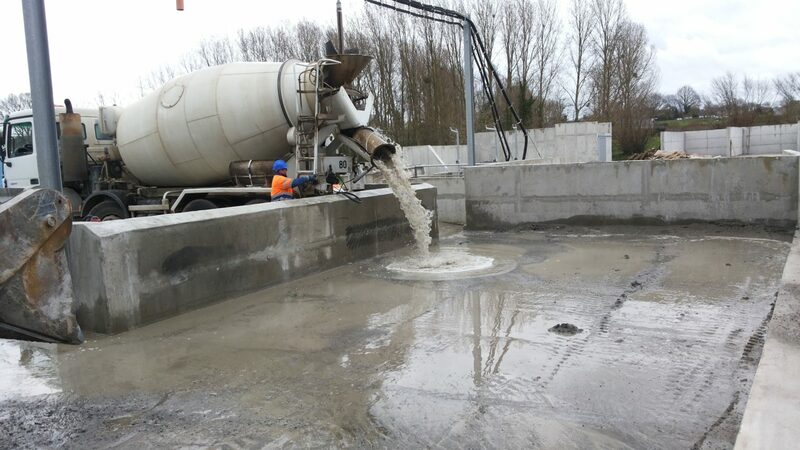 Since it is purified of its water, the cement can be properly hydrated in order to obtain a steady recyclable material. 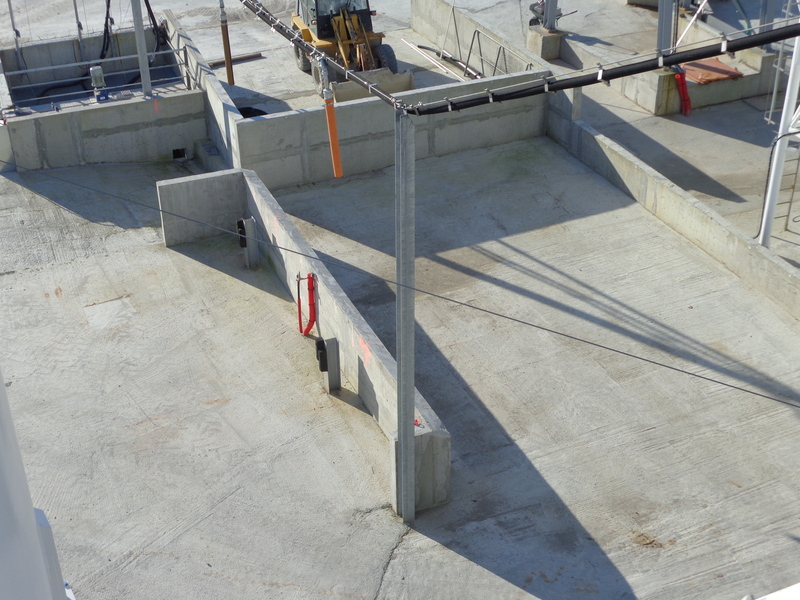 Please note that the hardening rate is higher than for the conventional concrete. 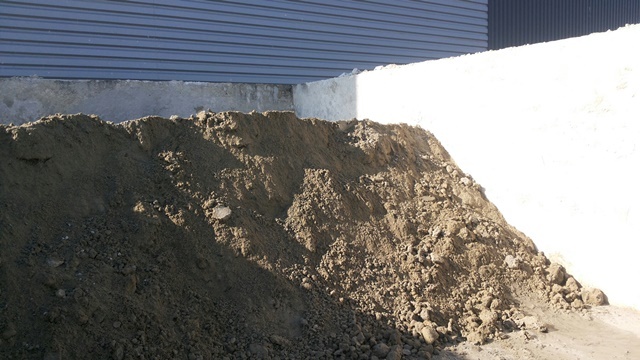 This is why the sediments can be placed in a box on the ground until they are ready to be evacuated. 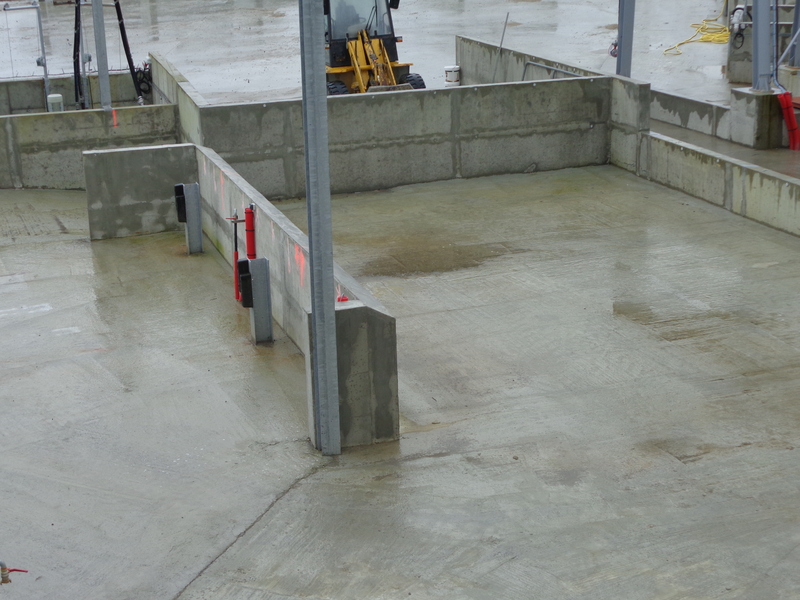 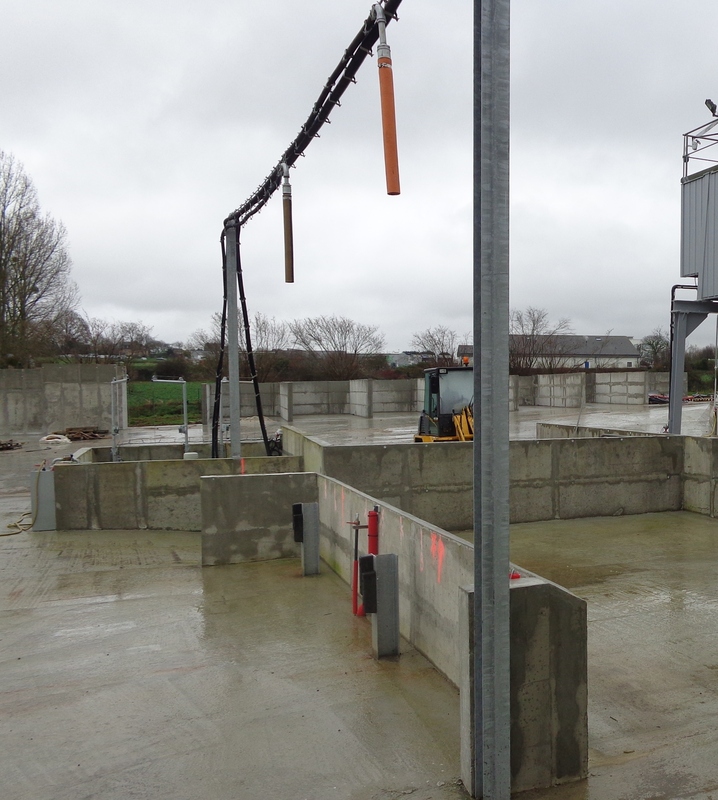 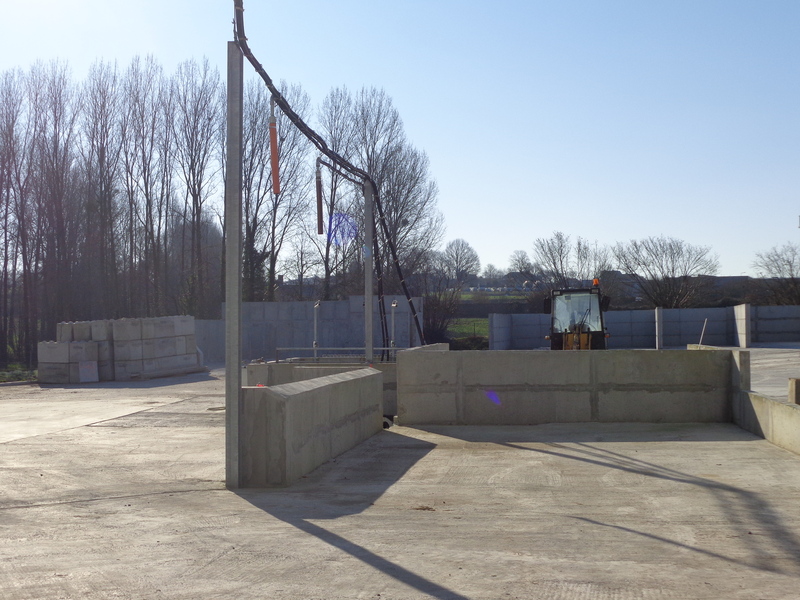 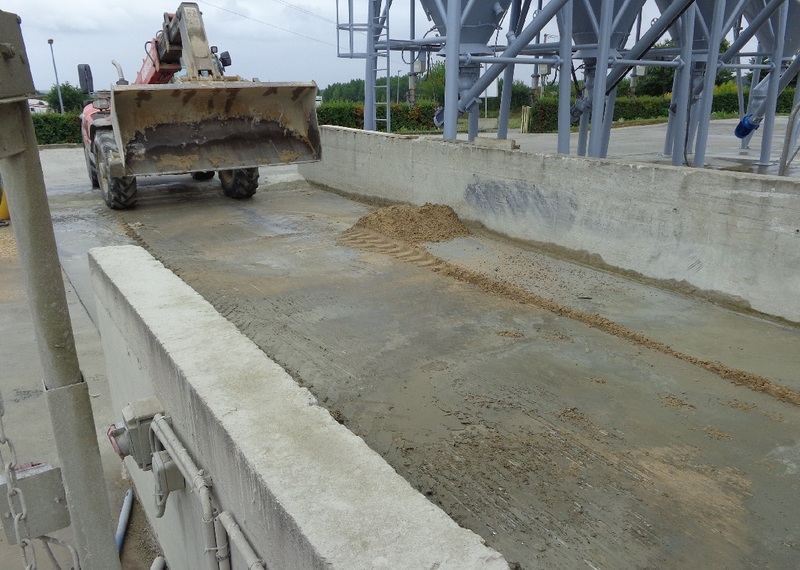 If there is no box available for the above operation, a CEMBOX concrete tipper can be used only if its bottom has been previously filled with concrete.